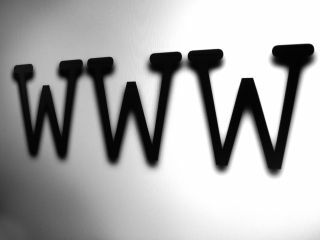 82 websites in the US have been shut in what is one of the biggest one-day closures of illegitimate sites on the web. Dubbed as Cyber Monday Crackdown, the domain names that were shut down were mainly linked to sites that distributed copyrighted and counterfeit goods. It was an apt day to do the web clean-up, because this week is said to see the biggest in online shopping as people look to the web for their Christmas present purchasing. "As of today, anyone attempting to access one of these websites using its domain name will no longer be able to make a purchase," said the release from US customs. "Instead, these online shoppers will find a banner notifying them that the website's domain name has been seized by federal authorities." The statement continued: "The coordinated federal law enforcement operation targeted online retailers of a diverse array of counterfeit goods, including sports equipment, shoes, handbags, athletic apparel and sunglasses as well as illegal copies of copyrighted DVD boxed sets, music and software." Although most of the domains were those that sold dodgy goods, there were a number of torrent sites also seized in the clapdown. According to TorrentFreak, Torrent-Finder was also part of the mass website closure. Although this was a US-lead operation, it is interesting to see site crackdowns on such a level happen – even though this was a bit of a PR push to tie in with Cyber Monday.